FrontlineSMS is a desktop software created to lower barriers to positive social change using mobile technology. By leveraging basic tools already available to most organizations, including those in ‘last-mile’ settings — computers and low-cost modems — FrontlineSMS enables instantaneous two-way communication to any mobile handset. It’s easy to implement, simple to operate, and best of all, the software is free; you only pay for the messages you send. 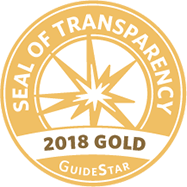 This award-winning open-source software has been downloaded over 150,000 times since its first prototype in 2005, and helps organizations all over the world overcome communications barriers. All SIMLab products can be used anywhere in the world. Over the last eight years, FrontlineSMS has been downloaded over 150,000 times in 160 countries. FrontlineSMS requires minimal training. Even non-technically savvy users can set up the system in a day or two. More advanced users can launch an instance in under an hour.